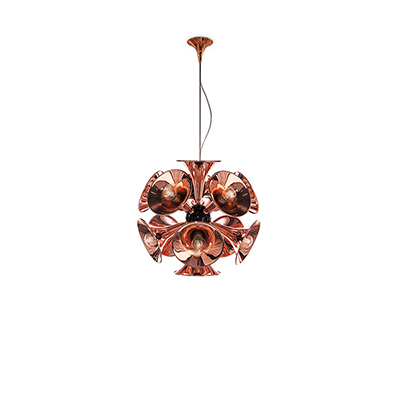 Having trouble choosing the perfect lighting? This article is for you! Bathroom lighting is essential and cannot be overlooked. Why? What is the first place you go every morning? The answer is quite simple. Before one has its breakfast, before one leaves the house and goes to work, before the day starts, everyone goes to the bathroom. 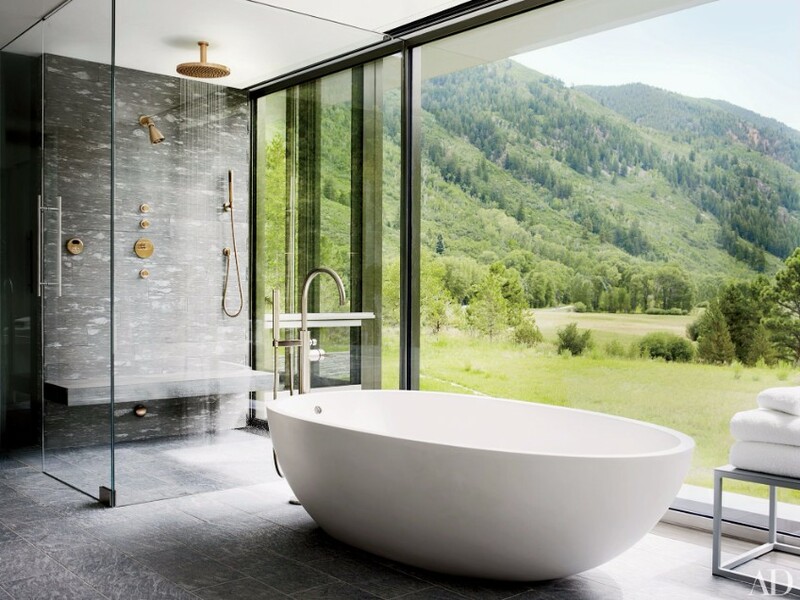 Therefore, despite apparently not being a very important room in one’s house, the bathroom is the place where everyone goes each morning, where most people look at themselves in the mirror, and so it is vital that it is a comfortable and reassuring space that can give you strength to go through the day ahead. 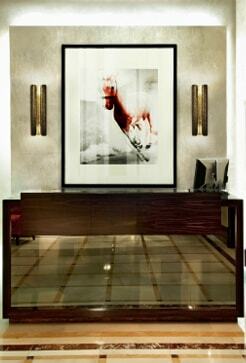 In order to create an adequate environment in a given room, you must be able to light it properly. 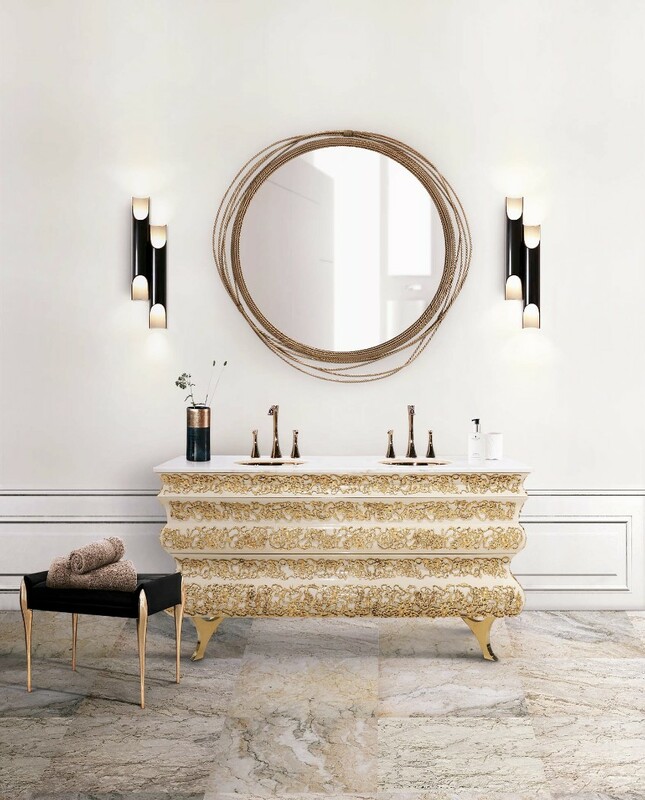 In a pleasant bathroom design, there should be no bright white lights above your mirror, and you should select a dimmer more yellow bulb to make it easier for the eyes to adjust to the light in the morning. The important thing is that the bathroom is the place where most people see themselves in the morning, so it only makes sense that it conveys a sense of encouragement. On the other hand, it should also be seen as a sanctuary where you can relax, that you can come back to and just forget whatever is outside. Perhaps a bubble bath might help. 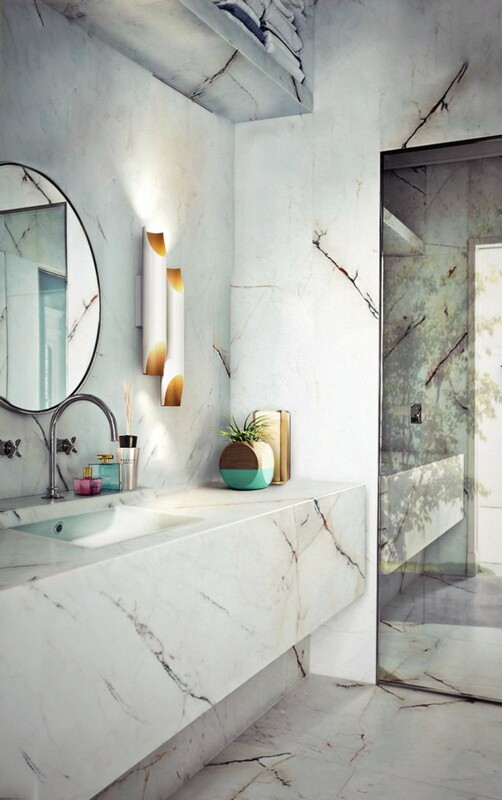 Combine a wall fixture with a marble bathroom to get a tranquil ambiance. 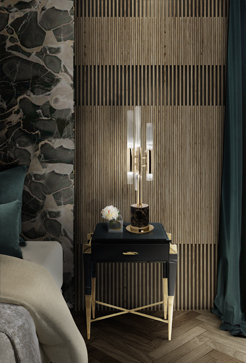 Sconces such as the GALLIANO wall lamp will provide enough lighting upward and downward, without enabling you to see yourself properly in the mirror. This will improve not just your bathroom but your home decor in general. A little luxury never killed anybody. 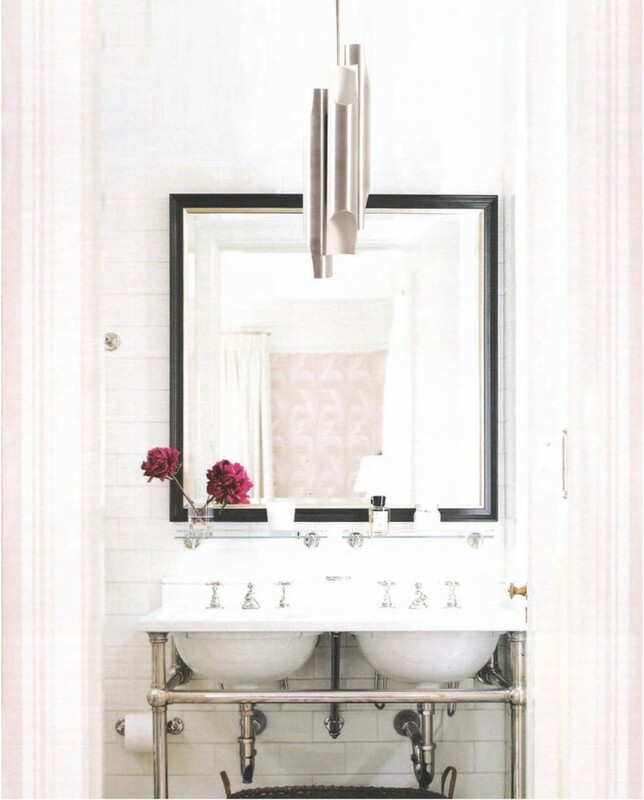 Ornament an ample bathroom with a chandelier, a bold move in interior decoration. 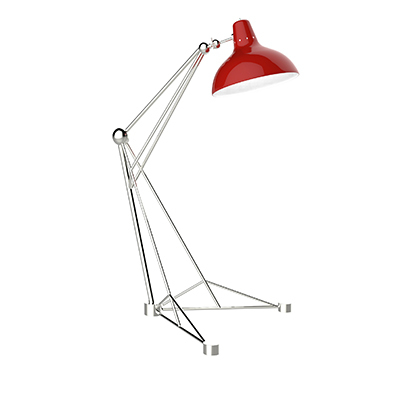 Nevertheless, see how it works perfectly with the MATHENY suspension light. 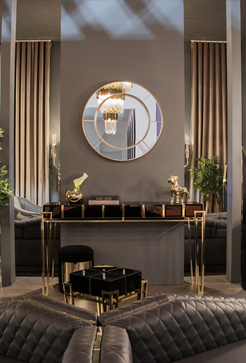 A dressing table is a delicate piece and a must-have if you are at least a bit vain. At least for women, it is a must-have! Being such a delicate piece, it does not require a strong obfuscating light. 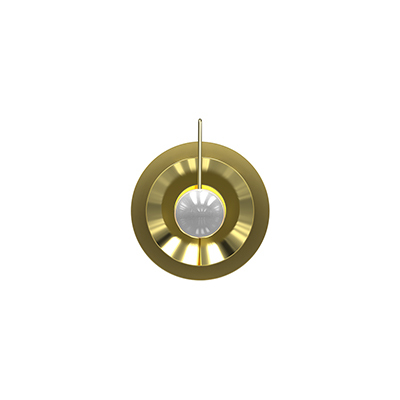 Try out a more simple and feeble light, such as the IKE pendant. 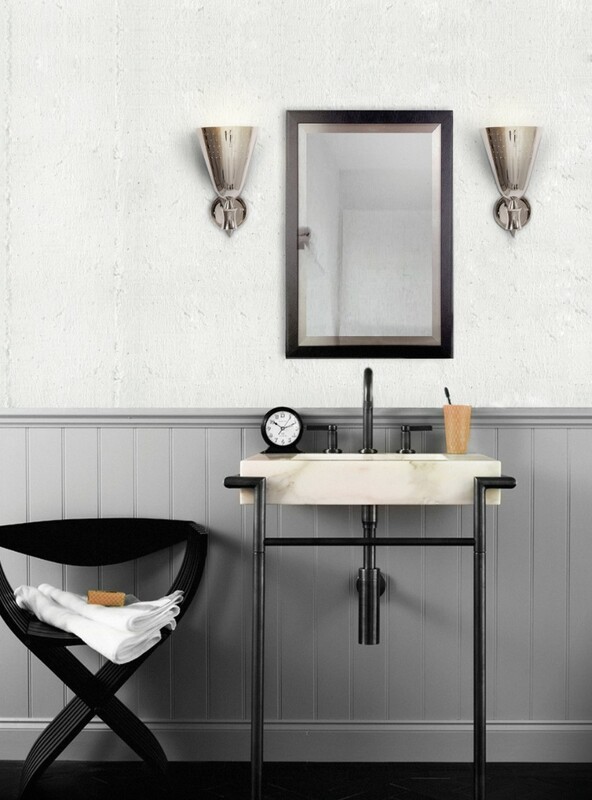 Its minimalist shapes and clean lines will lighten your bathroom without taking the spotlight away from the dresser. 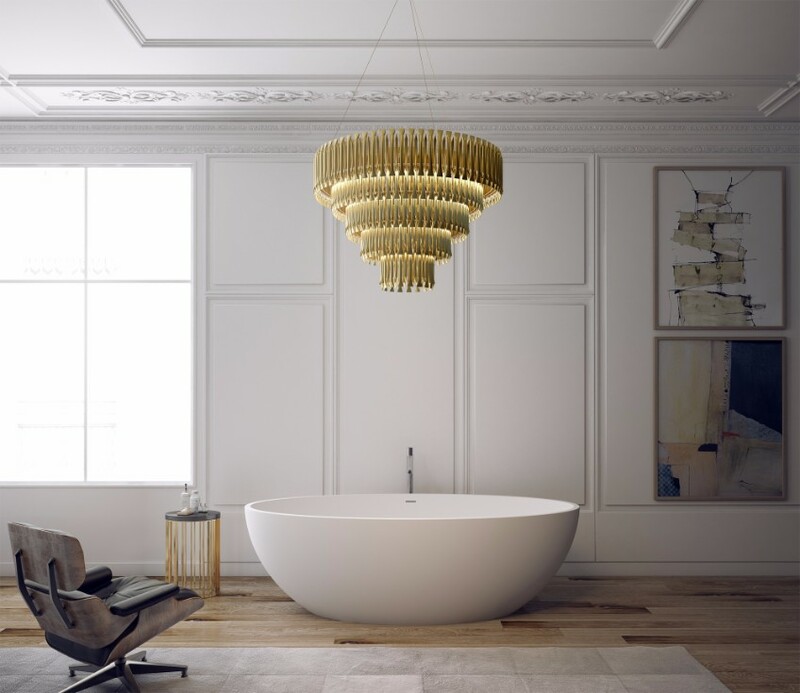 A beautiful pendant lamp, as is the GALLIANO, simple and functional, provides a carefree look to your bathroom. 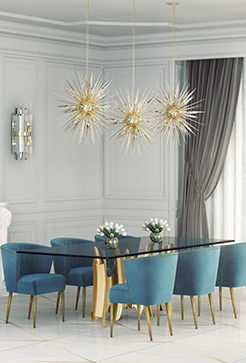 Its slender shape and geometrics allow it to be combined with different patterns and colors, easily adjusting to multiple ambiances. 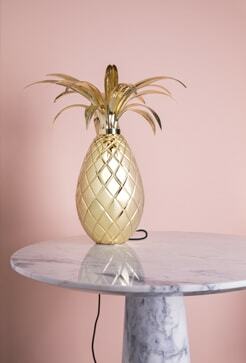 Luxurious and extravagant furniture calls for a more pared-down lamp. 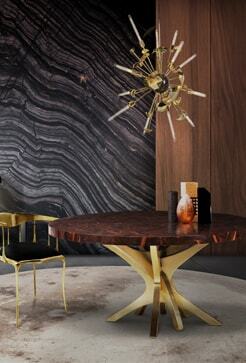 The BRUBECK Art Deco wall lamp is just the piece for it. The BRUBECK does not contrast with the remainder of the furniture. 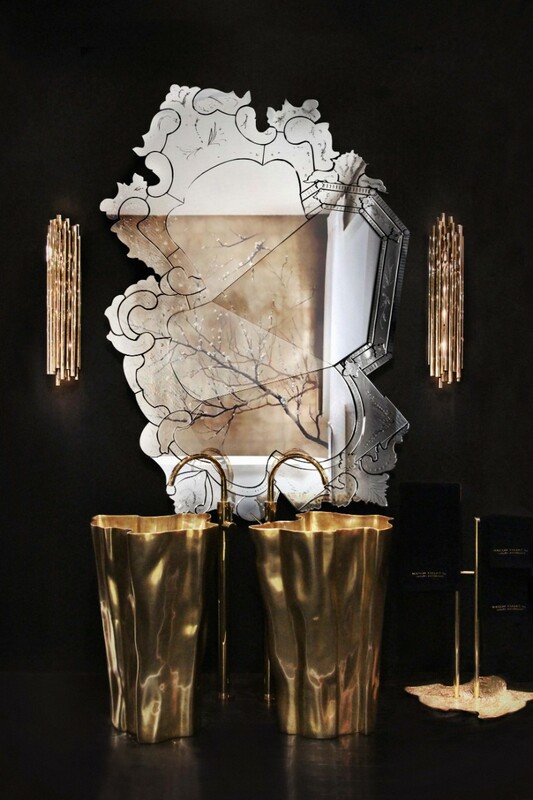 Instead, it actually enriches the room, preserving the glance of the luxury present in the mirror and the basin. Here it is, CHARLES framing your reflection. 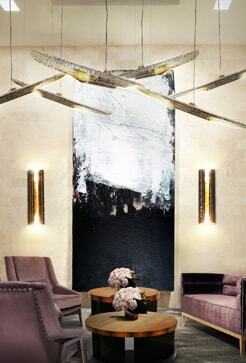 There is some sumptuousness in placing torch-like sconces around a mirror. The CHARLES wall lamp is very subtle and discreet. However, notice how it is important not to point the light directly at the mirror, otherwise, you will not be able to see yourself. 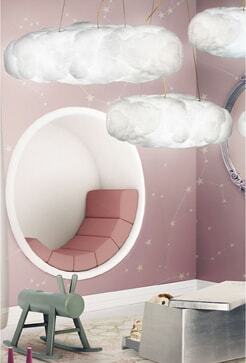 On the contrary, a soft upward illumination will provide brightness and warmth. 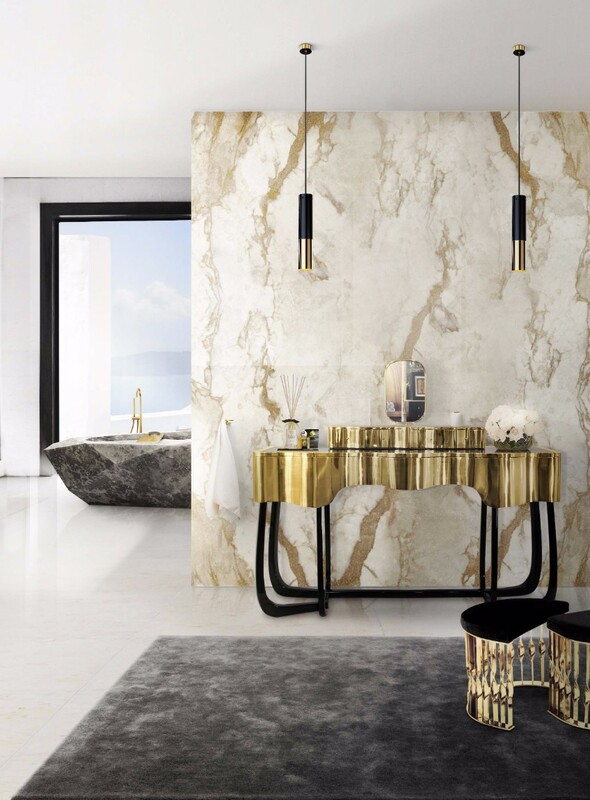 Liven your dark-colored bathroom with a golden fixture. 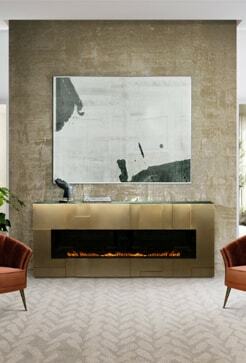 Even if you love an ebony palette, a black minimalist modern look, there is still room — and need — for a brighter piece. 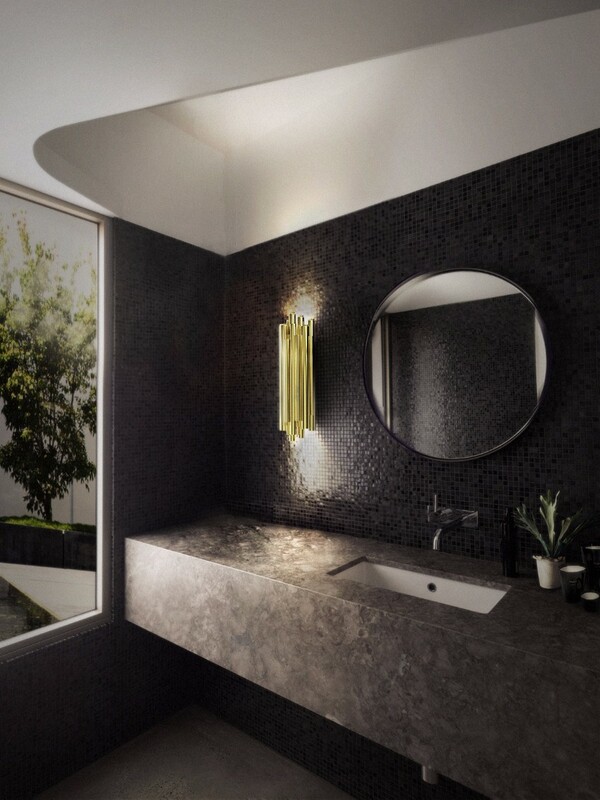 Take this bathroom, for instance, built around the grey, black and white. The missing piece is an irreverent element, an intense and radiant piece. 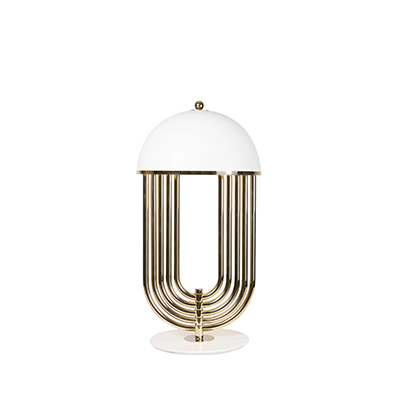 In this case, we chose the BRUBECK Art Deco wall lamp. 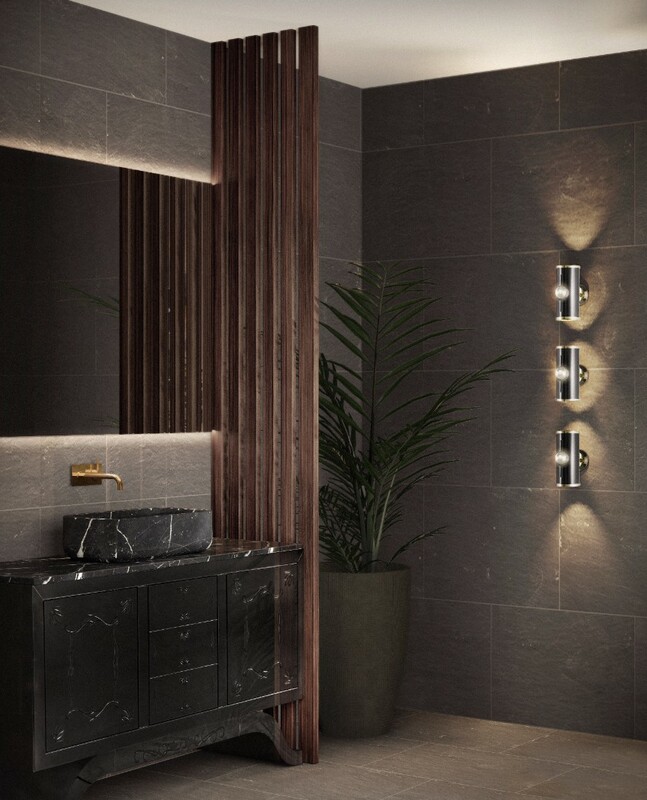 A bathroom composed of dark colors needs a golden element as much as a white bathroom needs a darker element. Light and dark, white and black, the counterparts keep demanding each other. 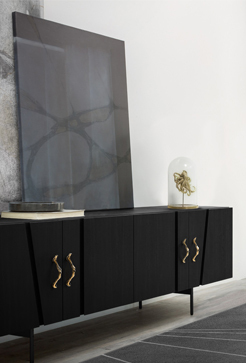 The glossy black GALLIANO in the pale background works as well as the previous suggestion. 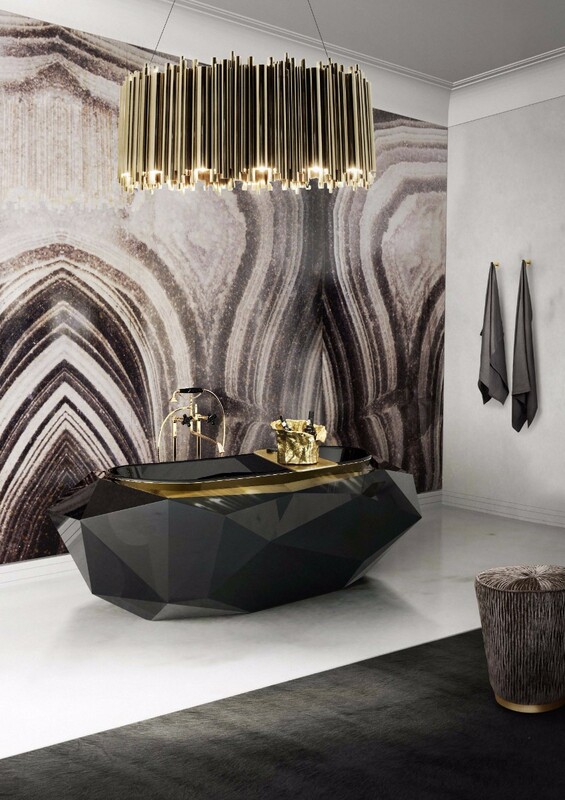 This Diamond Bathtub, by BOCA DO LOBO, is a masterpiece of product design by itself. It has a silver leaf with a shade of translucent black and high gloss varnish. 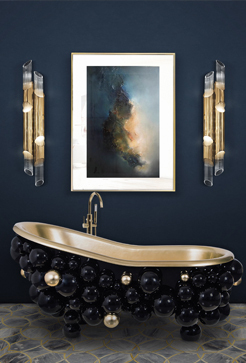 Well, if you happen to have a bathtub as luxurious and powerful as this, and an ample bathroom, you must complement it with an equally majestic chandelier. 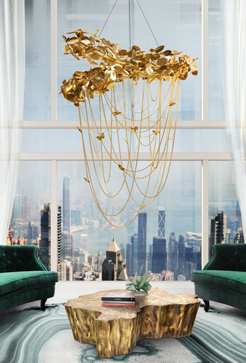 Our suggestion is a golden chandelier, the BRUBECK. And last but not least, you can use lighting just for decoration. 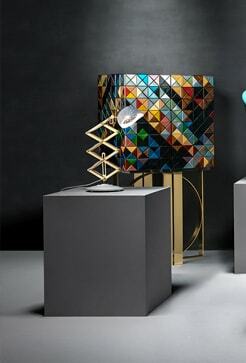 Lamps do not have to have a function in each use we give them. They can also fit a more or less futile purpose. 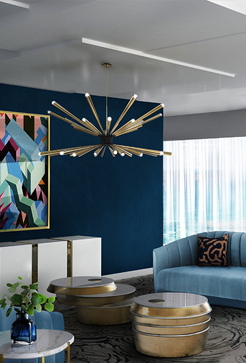 Apart from providing some light, the main feature of these CHUCK lamps is to embellish the wall, to decorate it, to make it modern and sophisticated. And it is also ok! 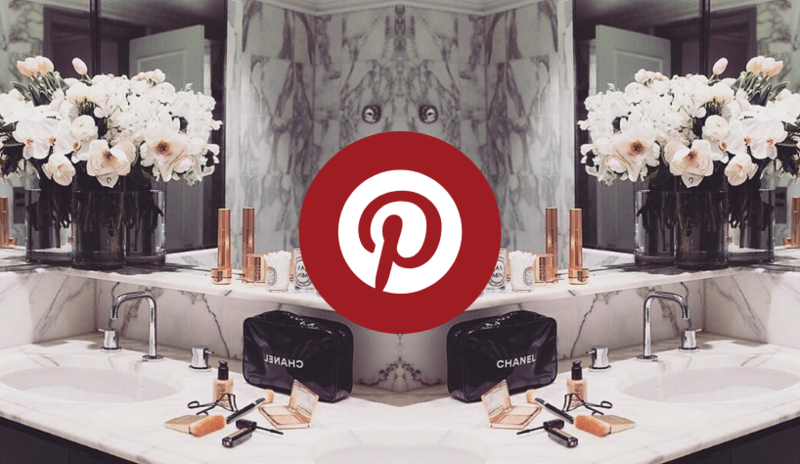 Feel Free To Click: WHAT’S HOT ON PINTEREST: THE WINTER IS COMING!